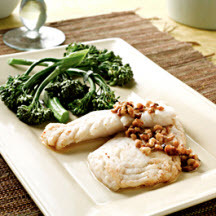 CooksRecipes has quality, kitchen-tested recipes for pollock (a.k.a. 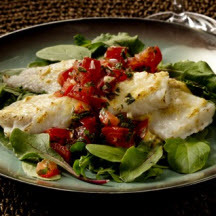 ; whiting and hake) dishes that you can count on for successful deliciousness. Pollock is soaked in a sassy tequila, lemon and lime marinade for an hour prior to being cooked and served with a spicy, three pepper salsa. 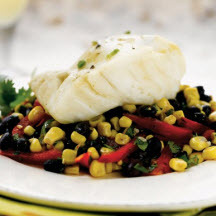 Serve pollock over black bean compote with mini-corn muffins and a fruit salad.